Provide comfort for the family of Ina Palmer with a meaningful gesture of sympathy. A Funeral Service for Ina Mae Palmer, 82, of Cleburne, will be conducted at 10:00 A.M. Saturday, April 6, 2019 at the Cleburne Family Fellowship Assembly of God, 710 W. Kilpatrick St., Cleburne. Pastor John Miller and Pastor Phil Brown will officiate. Burial will be in Rosehill Cemetery. Visitation will be 6:00 – 8:00 P.M. Friday at the funeral home. Ina Mae Palmer passed away on Monday, April 1, 2019 in Cleburne. She was born on February 20, 1937 in Delhi, Oklahoma to Harben and Ina (Ingle) Horner. She received her Associate Degree from Southwestern Assembly of God University and was an Insurance Agent for over 42 years. She was of the Assembly of God faith. Ina is survived by her son, David Palmer and wife Angelia of Cleburne and granddaughter and great friend Savanna Palmer; brothers Ronald Horner and wife Norma of Waxahachie and Gale Horner and wife Kay of Arlington; sister Glenda Horner of Clovis, New Mexico; 6 grandchildren; 7 great-grandchildren and a host of other relatives and friends. 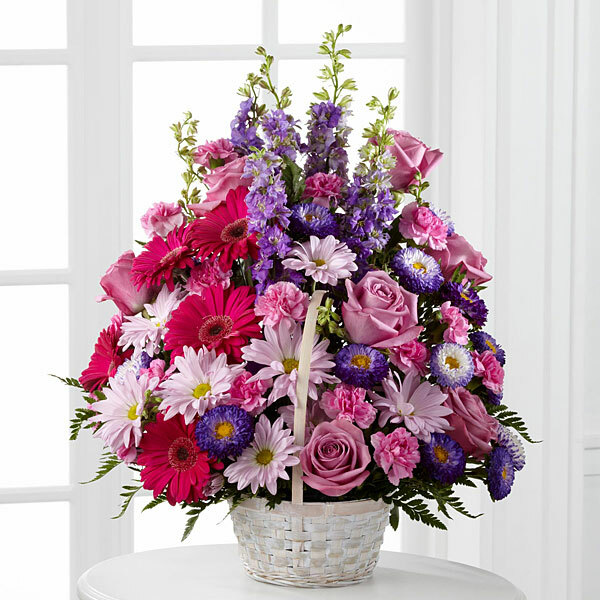 To send flowers in memory of Ina Mae Palmer (Horner), please visit our Heartfelt Sympathies Store. Everyone at DuBose & Associates sent flowers to the family of Ina Mae Palmer (Horner). I will remember "Nanny" as warm, funny & with not a bad thing to say about anyone. She always greeted me with her ready smile & a hug that felt like family. My sister is lucky to have had her as a mother-in-law & grandmother to her daughter. And David, you know only too well how lucky you are to have been able to call her "Mom". Nanny, while you have left a hole here on earth, we know you are at peace in the presence of God. I loved this lady. I won't ever forget how we got teamed up at the women's retreat for several get to know each other games. And we became buddies. I very easily came to love her instantly that day! She was such a kind soul and wonderful woman. She will be greatly missed! Everyone at DuBose & Associates purchased flowers for the family of Ina Palmer.